The Africa Food Prize has announced the commencement of the search for the 2017 Africa Food Prize Winner. 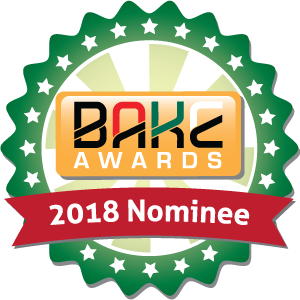 This is a distinguished award that recognises outstanding individuals or institutions that are leading the effort to change the reality of farming in Africa from a struggle to survive to a business that thrives. This is its second year and the US$100,000 prize celebrates Africans who are taking control of Africa’s agriculture agenda. This award brings to spotlight the bold initiatives and technical innovations that can be replicated across the continent to create a new era of food security and economic opportunity for all Africans. “The Africa Food Prize calls attention to individuals who are inspiring and driving innovations that can be replicated across the continent. It is worth much more than its monetary value of US$100,000 as it recognises and celebrates agricultural excellence and signals to the world that agriculture is a priority for Africa that all should embrace”, said the Chairperson of the Africa Food Prize Committee, His Excellency Olusegun Obasanjo. The inaugural Prize in 2016 was awarded to Dr Kanayo F. Nwanze, the outgoing President of the Rome-based International Fund for Agricultural Development (IFAD). He was awarded for his outstanding leadership and passionate advocacy in putting Africa´s smallholder farmers at the center of the global agricultural agenda. One of which is his reorienting IFAD´s work to focus more on making small-scale farming a viable business through a country-led approach to rural development. He was also acknowledged for his courage in reminding African leaders to go beyond promising development and change to delivering it. 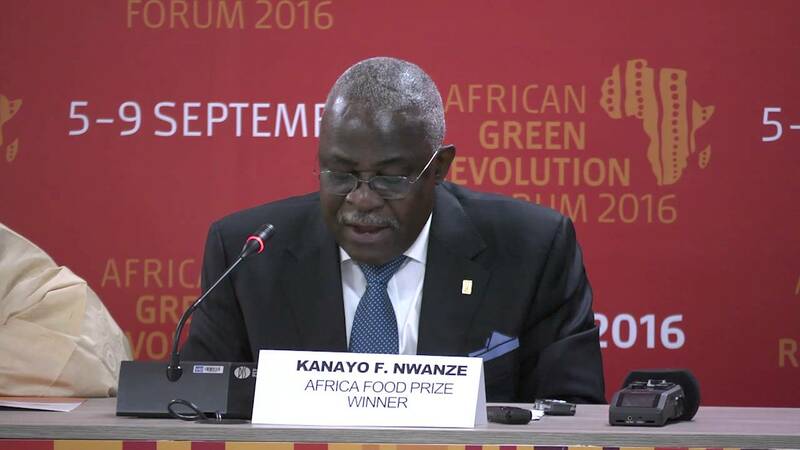 “It was an honour to be the first recipient of the Africa Food Prize and to be selected from amongst the many agricultural champions across the continent, to help highlight the critical role that smallholder agriculture plays in driving our economies,” said Nwanze. The 2017 winner will be chosen by the Africa Food Prize Committee. The committee is an independent body of preeminent leaders that is chaired by the former Nigerian President, H.E Olusegun Obasanjo. The other committee members are Prof. Calestous Juma, Dr Eleni Z. Gabre-Madhin, Prof. Joachim von Braun and Amb. Sheila Sisulu. The deadline for nominations will be on the 5th of June 2017 and the winner will be unveiled at a high-profile gala dinner at the African Green Revolution Forum (AGRF) 2017, 4-8 September 2017 in Abidjan, Cote d’Ivoire. “You do not have to be the head of a global organisation to be awarded. You just need to be dedicated to African agriculture, be deeply convinced of its transformative power for economies and families, and have made a significant contribution towards realising this dream”, he added. Why was the Africa Food Prize created? The Africa Food Prize exists to reward individuals and institutions that are pioneering efforts to create prosperity in Africa. It is hoped that this will encourage others to follow their lead. It was also created with the acknowledgement that no region of the world has developed a diverse, modern economy without first establishing a successful agriculture sector. “ Although much has been achieved, a lot more needs to be done to deliver on Africa’s agricultural potential, especially with its youth. Over the next few years, I will continue to focus on this priority and mentoring young people to take over agricultural leadership in Africa,” said Dr. Nwanze. The Africa Food Prize began as the Yara Prize. It was established in 2005 by Yara International ASA Norway to honor achievements in African agriculture. At that time the Yara Prize recognized individuals from Kenya, Ethiopia, Nigeria, Rwanda, Uganda, Malawi, Senegal, Zimbabwe, Tanzania, and Mozambique for their success in making African farms more productive, profitable and resilient. Past winners include Dr. Akinwumi Adesina, the former Nigerian Agriculture Minister who now heads the African Development Bank (AfDB); Dr. Agnes Kalibata, the former Minister of Agriculture and Animal Resources in Rwanda who now serves as AGRA’s President; and Dr. Ousmane Badiane, Africa Director for the International Food Policy Research Institute (IFPRI). The Yara Prize was moved to Africa in 2016 and rechristened to the Africa Food Prize. This gave the award a distinctive African home, African identity and African ownership.